Seminyak is located in the north of Kuta, so very close to Kuta. Kuta Beach is connected to one with Seminyak Beach. Although located just north of Kuta, but we can not reach it only by walking, because the distance is far enough, and must pass through the narrow streets and housing residents. 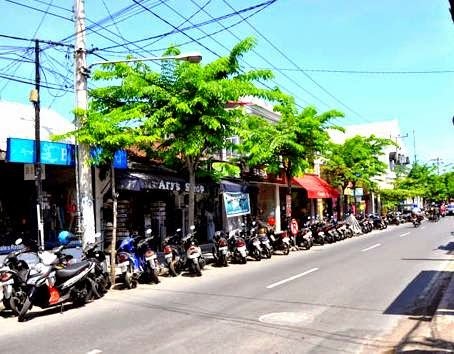 Seminyak is now the new location of the destination by the tourists. Most tourists to Seminyak is coming from Australia. Because tourists from Australia is the highest in Bali. Australia with Bali, located not far away, such as the Bali with America and Europe. And can be achieved only with one direct flight. Seminyak has now grown into a new entertainment center in Bali. Because as the entertainment center of Kuta in Bali can no longer expand, because the land is already full of buildings. So the developers switched to Seminyak. There are many new entertainment venues in Seminyak, especially in Jalan Seminyak. Bars, cafes, and discos are the most visited by foreign tourists. Almost the same as in the area of Jalan Legian, Seminyak Road at night is always crowded by foreign tourists who want to spend the night. The nightlife in Seminyak is almost the same as in Kuta. Very loud music from the discos and bars, as well as people who come in and out of the cafe, that characterizes nightlife in Seminyak highly favored by tourists. Until late at night, Jalan Seminyak is still crowded by tourists passing. Sometimes you will find that being drunk tourists walking on the sidewalk while vomiting. It is very common, such as in Jalan Legian. Night life is chaotic but well-ordered. Once upon a time, the Seminyak area is very vast agricultural areas and fertile. The development of the tourism and accommodation industry, forcing the farmers to sell their rice fields. If not, then it should be compensated for the higher land tax. And irrigation channel that has been blocked due to construction of hotels and villas that are not controlled. Indeed, Bali is on the verge of collapse. Bali is known for its culture, art, religion, and social life of a unique, must now be eroded by the tourism industry is not clear direction and purpose. 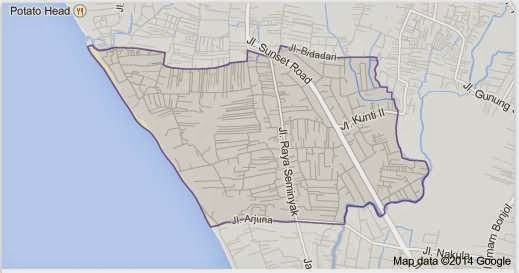 This resulted in an uncontrolled development, so that the direction of the planning and development of Bali is not represented well by the government. The government only think about the prospect of material advantage in protecting the social life of Balinese people.